During the long process of pulling together my CD The ColoredWaiting Room, I was spending a lot of time hanging around the studio of my co-producer, Jerry Thompson from Philly. Anyone who knows producers understands that these cats are hopeless electronics geeks. A new piece of equipment could drop in the middle of an Amazon rain forest, and they’ll know about five minutes later, order it the day they learn it’s available, and will spend sleepless nights before its mastered—usually about three nights, tops. JT was thrilled to show me George Duke: Soul Treasures, which is a group of looped samples of Duke playing the keys and described as “a treasure trove for producers looking for instant soul for their tracks.” It’s easy to see why such a product exists, and not only because keyboard playing is becoming rare among “producers” in the age of hip-hop. Duke had what one could call a highly personalized sonic signature, a “voice” that made his chord progressions, his touch, his chord voicings, even the recordings he produced for others, instantly recognizable. He had the golden touch. He was an early musical influence: I’ve been following his career and loving his music since the seventies. Like many, my introduction began with the party hit “Reach for It.” I remember when I first heard it on a holiday trip to Chicago while living on the West Coast in my late teens. “The Spank” was the popular dance at that time, and the anthem “Reach for It” was perfect: bass heavy, funky back beat, gospel-styled vocals, call and response, Fender Rhodes drenched—a classic party song. My exploration of Duke led me to his earlier work in mainstream jazz and rock. The gestures he learned in those settings would mark his work in R&B, funk and fusion as many of his songs feature his crafty and soulful solo statements and beautiful harmonic changes. Like Herbie Hancock and Patrice Rushen, the other keyboard playing jazz-Funkateers of the seventies, he was at home in a number of styles. When I learned he had passed away a couple of days ago, it came as a complete shock. For some reason his latest CD Dreamweaver had been on repeat during my daily listenings. I was particularly hooked on “Brown Sneakers,” which features electric bassist Michael Manson, a phenomenal musician I grew up with. The last time I saw George Duke play he and Mike were laying it down for real at the Clifford Brown Jazz Festival a couple of summers ago. (Their contrapuntal work on “Brown Sneakers” knocks me out). What I loved about it—and I think this is what we all loved and will miss—is how he, like few others, could connect with audiences. As he rolled through his song list, we were lifted physically, mentally, emotionally, and spiritually. He had us in the palm of his talented hands. It was like church at the jazz fest. I listened to Jamal Ahmad’s The Soul of Jazz thorough and thrilling four-hour tribute to Duke on WCLK, Atlanta and was stunned at the breadth of his work, how timely it sounded, the sheer volume of it all and its remarkable consistency. 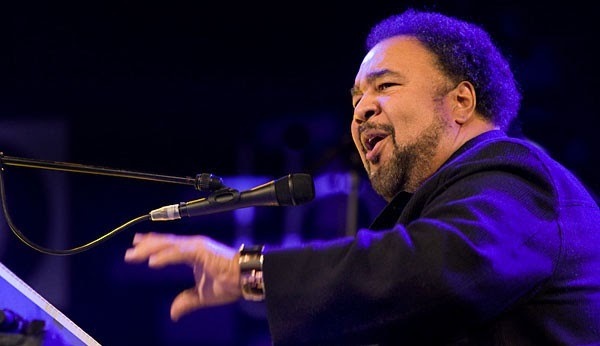 As the songs rolled out, I also realized that because of that consistency, George Duke’s music had been there with me, marking my time in the world at every stage of my adult life. He would always manage to drop a tune that I would seize on and repeat until times got better. And I would celebrate to his music: he was always perfect for the party, as any DJ—professional or jackleg—knows. Whether playing a synth solo on Jill Scott’s “Whenever You’re Around” or laying down the funk on a Kurt Whalum “The Gospel According to Jazz” tune, he’d catch the listener off-guard and lead through a variety of unexpected turns of a phrase or a riff and then work it until the job was done, especially in live settings. Duke's vocals, his other reliable toolbox—were generally performed in a pleasant, unforced falsetto unless he was doubling someone an octave below. Like his overall approach, they were marked by an immediacy of communicative power: we felt it and wanted to sing along full-throated at the party while busting a move. (You know the look, eyes-closed tight, head back, arms in the air, moneymaker shaking). The thing I admire most about George Duke is that he achieved in his life what many musicians desire: to make people happy and to lessen their burdens, to create art of tangible value, to fulfill one’s artistic potential, to leave folk wanting more. Job well done, sir. True, you left us too soon, but you also left us with more than enough to cherish. He put the tingle in our hipbones, took us to the bridge, and dropped us off into some funk. And that’s a good plan on any given day, as he taught us so well.